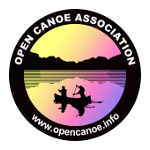 On Saturday 2nd May, Matt Mandrell and others from the Canoefest team will be available to take “Trad” Boaters onto the lower Tryweryn. Expect quite flexible arrangements, with scope to be guided and/or coached. This can be independently of the C-Boating with Kelvin Horner and Friends – or mixed in with the dudes in little boats. We’ll send a team of experienced coaches over to work out details!